In my old life, I thought I hated Brussels sprouts. I didn’t grow up eating them, and had never even tried them until I started to date Andrew. His mother was a wonderful cook: she had a way with shepherd’s pie and Christmas trifle that only someone born and raised in Great Britain could have. But she had an inexplicable weakness for Brussels sprouts. I was dubious from the moment I smelled them boiling, wasn’t reassured when I saw the gray-green lumps on my plate, and definitely didn’t relish the overpowering flavour. I compensated by eating them first so I could mask their taste with everything else on my plate. In retrospect, I realize she may have thought I ate them first because I liked them. But that’s in the past. My recent sprouts awakening meant that I bought more last week, looking for an excuse to make them again. So when I came across this recipe – and had all the ingredients on hand – I knew I had to try it. Guess what? I like this recipe even better than the one that precipitated my conversion. I can’t over-emphasize how easy and how delicious these sprouts are. And in case you’re wondering, I have a bag of Brussels sprouts sitting in my fridge right now. I know what I’m making for dinner. In a 10” sauté pan, melt 1 1/2 Tbsp butter with olive oil over medium heat. Arrange Brussels sprouts, cut side down, in one layer in the pan. (You’ll have to tuck them in snugly.) Season with the salt. Cook the sprouts until bottoms are nicely browned, 5 to 6 minutes. Pour the broth into the pan and cover, leaving the lid slightly askew so that some steam escapes. Turn the heat down if necessary so the broth is just gently simmering. Cook until the broth is reduced to about 2 Tbsp, 7 to 9 minutes. Remove lid and add 1 Tbsp butter, ginger, and garlic. Toss well and stir just until the butter has melted. Remove the pan from the heat and continue to stir gently until the ginger and garlic are well incorporated and slightly softened. Gently squeeze the lime half over all, toss, and serve. I eat Brussels sprouts at least once a week, often twice. I actually really like to steam them and coat them in a yummy vinaigrette! Looking forward to reading it, Julie! How funny. I hated sprouts as a child (ie never tried them), but like them now. This sounds like a delicious way to cook them. I don't eat them, but you're making me want to. Uh. Now I regret that I don't eat them! Gotta try soon! Thanks for sharing! 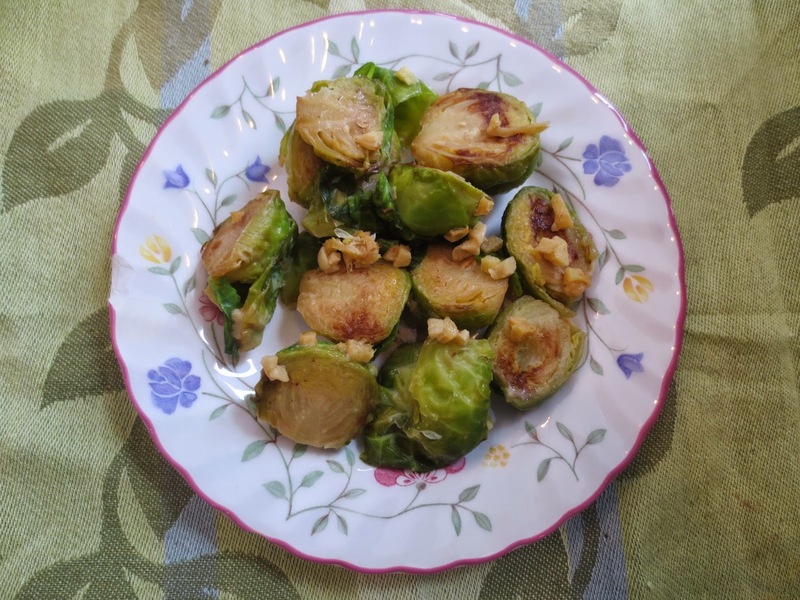 Such a simple and delicious way to prepare brussels sprouts! I didn't like them until I was an adult either…but I'm so glad I gave them a chance! 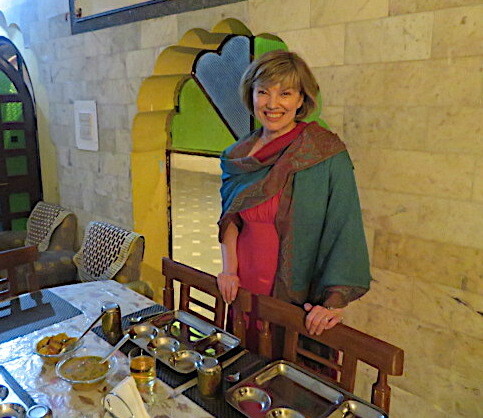 I just cooked brussels sprouts over the weekend–love them!. I've never added ginger to brussels sprouts, but I can't wait to try it with them. I didn't like brussels sprouts until the last few years and now I keep frozen ones in the freezer and roast them all the time when I need some veggies. I'd love to try this method…sounds delicious! I am a fan of Brussels sprouts put was not as a child. My husband hated them until I started cooking them the last few years. We love them and I bet this recipe with lime and ginger is uniquely delicious! Thanks for sharing this wonderful recipe! I love brussels sprouts, but don't make them often as my husband doesn't like them at all. This looks great, Beth. OMG, Beth, I think you managed to convince me to like Brussels sprouts! After a longer absence from the blogging world I'm back and was very curious to try this recipe out. Bingo- we all were surprised about how good this veggies can taste. Thanks for sharing. I loathed Brussels sprouts when I was a kid. Mainly because my mom was in the boil-them-to-death camp. Yuck. But cooked properly, they're wonderful! And you've cooked them properly. Thanks for this. 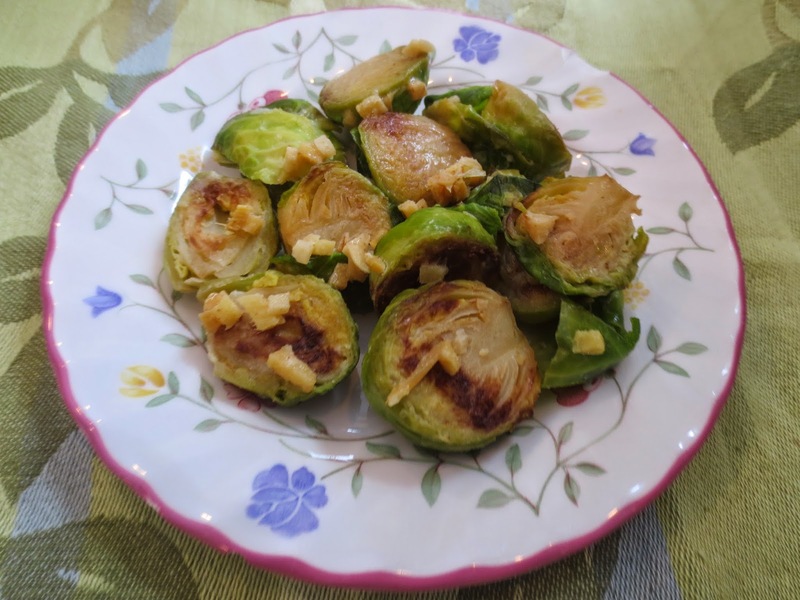 I like the idea of ginger in this Brussel sprouts recipe…it sure sounds and looks delicious Beth! Thanks for the recipes. Yum! I'm going to try this recipe.